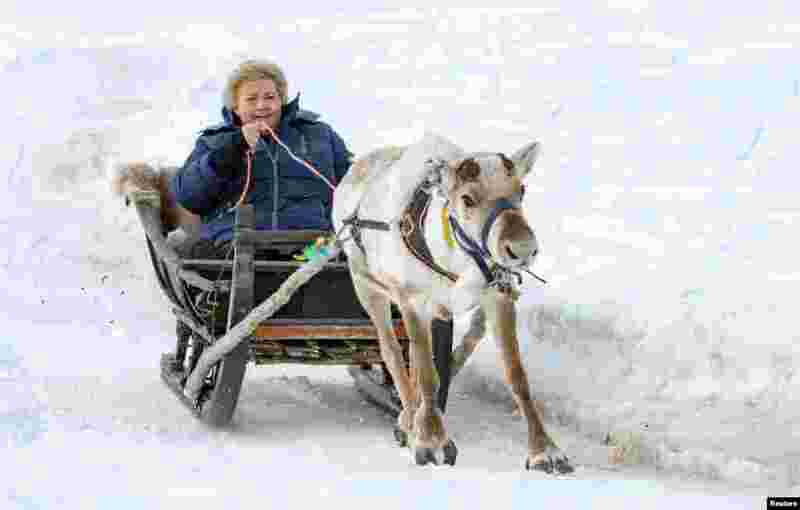 1 Norwegian Prime Minister Erna Solberg rides on a deer sledge during her visit in Alta. 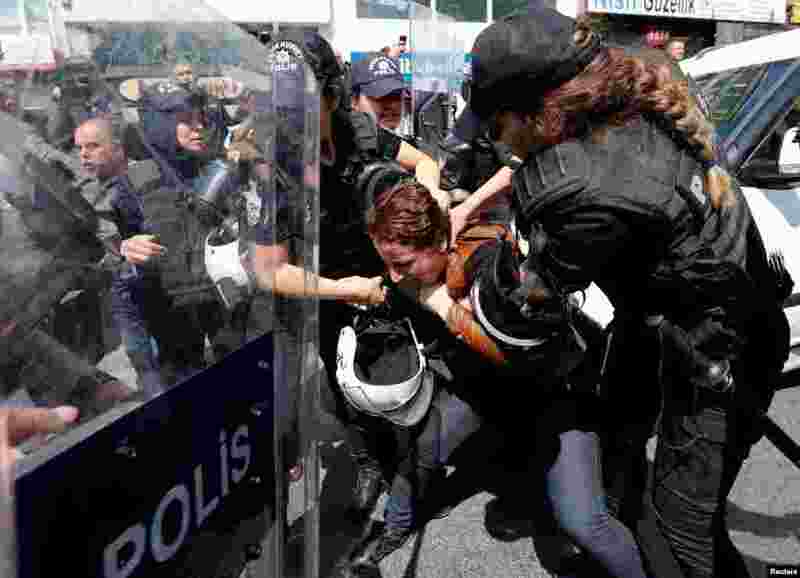 2 Turkish riot police fight with a group of protesters as they try to ignore a ban and march on Taksim Square to celebrate May Day in Istanbul, Turkey. 3 Workers cut stones in Minya's quarries, Egypt, April 30, 2018. 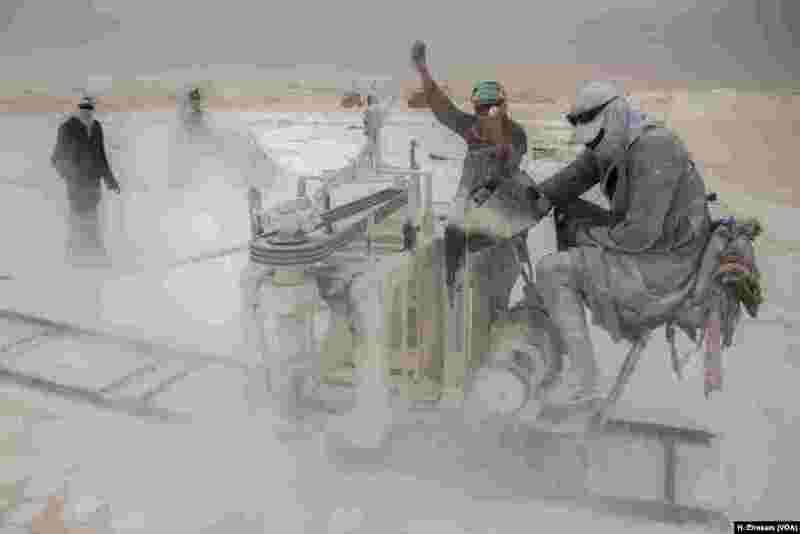 In the Egyptian province of Minya, thousands of men work hard in backbreaking, often dangerous conditions in the region's limestone quarries. The stone they produce is an important source of cash for the province, but the human cost is great. 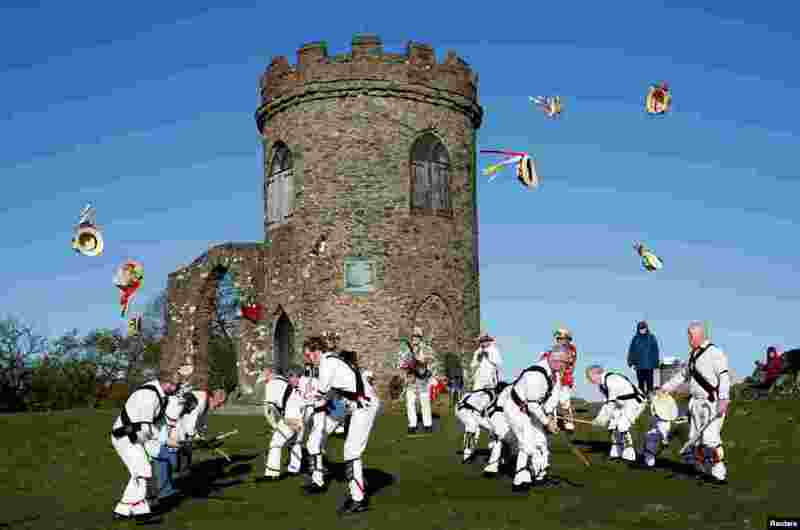 4 Leicester Morrismen throw their hats during May Day celebrations at Bradgate Park in Newtown Linford, Britain.